A Population History of India provides an account of the size and characteristics of India's population stretching from when hunter-gatherer homo sapiens first arrived in the country - very roughly seventy thousand years ago - until the modern day. It is a period during which the population grew from just a handful of people to reach almost 1.4 billion, and a time when the fact of death had a huge influence on the nature of life. This book considers the millennia that were characterized by hunting and gathering, the Indus valley civilization, the opening-up of the Ganges river basin, and the eras of the Delhi Sultanate, the Mughal Empire, British colonial rule, and India since independence. 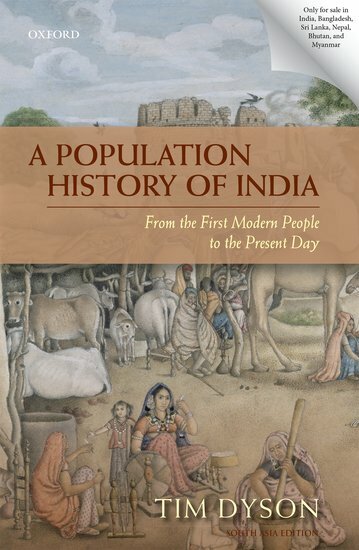 By observing India through a demographic lens, A Population History of India: From the First Modern People to the Present Day addresses mortality, fertility, the size of cities, patterns of migration, and the multitude of famines, epidemics, invasions, wars, and other events that affected the population. It draws together research from archaeology, cultural studies, economics, epidemiology, linguistics, history, and politics to understand the likely trajectory of India's population in comparison to the trends that applied to Europe and China, and to reveal a surprising and dramatic story.